A NUMBER OF Labour senators will actively canvass for the retention of the Seanad this week with the Democracy Matters group. The group set up to campaign for the retention and reform of the upper house says that Labour senators John Whelan and John Kelly will join former Fianna Fáil minister Mary O’Rourke on a canvass in Athlone this Wednesday. It is understood that James Heffernan, who is outside the Labour parliamentary party, and other Labour senators including Denis Landy and Ivana Bacik, who is the party’s leader in the Seanad, will also be getting involved with Democracy Matters in the coming weeks. Whelan said he initiated contact with the group because he shares “a common view”. 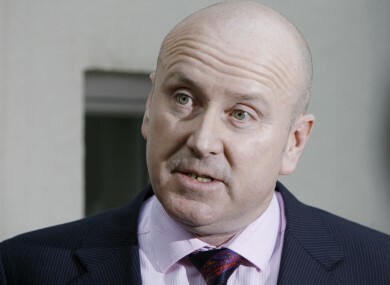 The group, whose membership includes former Tánaiste Michael McDowell, hopes that more Labour senators will join the group to actively campaign for the Seanad to be saved in the 4 October referendum. All 11 Labour senators have indicated they will vote against abolition next month but some have decided not to actively campaign for a No vote. “I won’t be out on the doorsteps and I don’t think the Democracy Matters are active in Donegal, but good luck to them,” Donegal-based senator Jimmy Harte said today. Senator Aideen Hayden said she would not be going door-to-door and was “conscious of the fact that Labour has a position as part of government”. The party’s chief whip in the Dáil Emmet Stagg told TheJournal.ie last month that there is a 50-50 split within the Labour parliamentary party between those in favour of abolition and those who want the upper house retained. Labour TD Joanna Tuffy is one deputy who has and said today she will continue to openly campaign against the government position. Clare TD Michael McNamara is believed to be another. “It’s not a huge issue,” they added. The party plans to launch its official campaign for the abolition of the Seanad on Wednesday and will be producing 50,000 leaflets. On one side will be information about the Seanad referendum while information about the Court of Appeal will be on the other side of the leaflet. Minister of State Alex White was confirmed as the party’s director of elections last week. Sinn Féin: How could we as Republicans stand over the Seanad in its current form? Email “Labour senators to join Mary O'Rourke in campaigning for Seanad to be saved ”. Feedback on “Labour senators to join Mary O'Rourke in campaigning for Seanad to be saved ”.